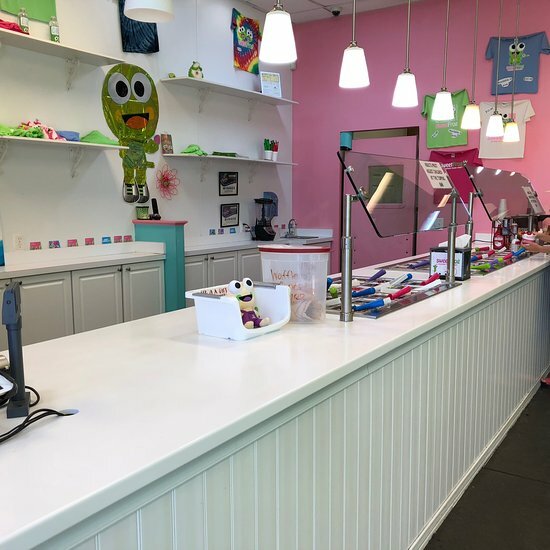 There aren't enough food, service, value or atmosphere ratings for Sweet Frog Florence, South Carolina yet. Be one of the first to write a review! Poor customer service, cleanliness, and food quality! Girl was unhelpful and didn’t want to be there. No vanilla, no cotton candy, no Hawaiian, all yogurts they did have were runny. How is this place even in business with no yogurt! 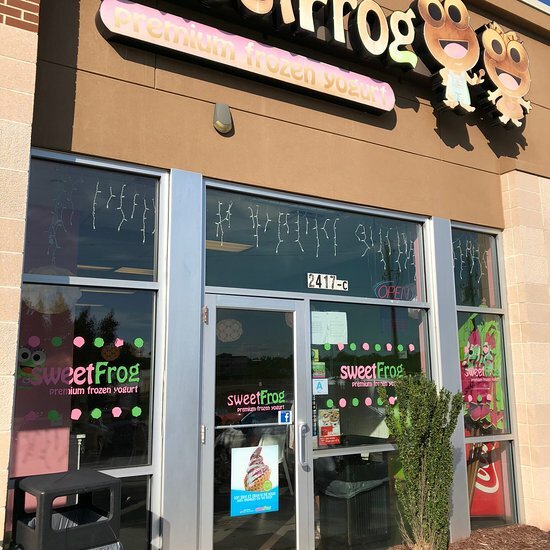 I understand the prices are probably the same at all the Sweet Frog locations but the prices are absolutely ridiculous. Eight dollars for a cup of "frozen yogurt?" I will say the place is always clean but the price/value ratio is way off. Too early to be out of fruit and have mushy fruit. Got yogurt at 3pm and the available fruit included blueberries and mushy kiwi. Pineapple comes canned and bananas are cheap. Three hours after opening the place should be fully stocked. Great frozen yogurt but not a lot of parking in front - sometimes during busy times we have left not finding a parking spot. Took grandchildren and had wonderfully experience . Wish they had smaller cup size. Grandchildren are never able to eat it all and it is impossible to not fill the cup with all the choices . Staff friendly. Great assortment of toppings. Nice variety of yogurt favors. Very clean and bright atmosphere. Very enjoyable. 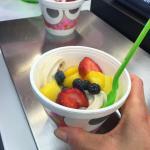 Get quick answers from Sweet Frog Florence staff and past visitors.